Shea Groom’s 83rd minute goal snapped a nine game winless streak for FC Kansas City as they beat the Houston Dash 1-0 at BBVA Compass Stadium with 4,352 in attendance. Dash forward Carli Lloyd injured her left ankle in the 25th when she landed awkwardly after going up for a header in the box. She walked off the field under her power, but was subbed out in the 35th minute and replaced by Cari Roccaro. I'm down and out now but I'll be standing tall again. Just don't count us @HoustonDash out. We need to keep going and find a way. It’s the first win for FC Kansas City since a 3-2 win over the Washington Spirit on May 27. For the Dash, it’s their second straight loss after going on a six-game unbeaten streak. FC Kansas City goalkeeper Nicole Barnhart earned her 36th career regular season shutout to extended her all-time lead. She made six saves in the match, including a 75th minute kick save to stop a Rachel Daly breakaway. Andressinha threaded a nice long pass through the Kansas City defense, but Barnhart came off her line and made a sliding save on Daly’s attempt to send a right-footed shot to the far post. Kansas City would get the game’s only goal just seven minutes later when Groom headed in a cross from Becky Sauerbrunn to make it 1-0. Sauerbrunn dribbled down the left flank and sent a high-cross into the box where Groom was able to out jump Camille Levin and send a header past Dash goalkeeper Jane Campbell for her second goal of the season. The Blues thought they had earned a penalty kick in the 68th minute when Sydney Leroux was fouled in the area, but after making an initial signal for the penalty, referee Robi Hullner ruled that Leroux had been offside when the ball was played into the box. The loss keeps the Dash on 20 points, six points behind the Pride for the fourth and final playoff spot. 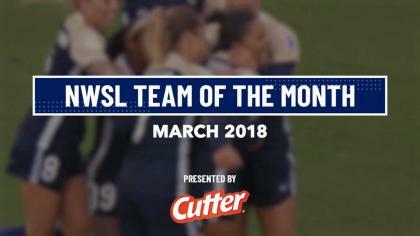 They will next play on Wednesday night in Boston before traveling out to Portland for meeting with the Thorns on Saturday night. Kansas City defender Brittany Taylor became the third player in NWSL history to make 100 career regular season appearances, joining Christine Nairn and Lauren Barnes of Seattle Reign FC. FC Kansas City moved into eighth place in the NWSL with the win, at 17 points, one ahead of the Breakers and Spirit. They will next host the Thorns on Wednesday and visit the Red Stars on Sunday. Substitution, FC Kansas City. Erika Tymrak replaces Shea Groom. Corner, FC Kansas City. Conceded by Cambria Privett. Attempt blocked. Maegan Kelly (FC Kansas City) left footed shot from the left side of the box is blocked. Attempt missed. Poliana (Houston Dash) header from the centre of the box misses to the right. Assisted by Rachel Daly. Attempt saved. Sydney Leroux (FC Kansas City) right footed shot from outside the box is saved in the centre of the goal. Assisted by Rebecca Moros. Delay in match Andressinha (Houston Dash) because of an injury. Maegan Kelly (FC Kansas City) wins a free kick on the right wing. Goal! Houston Dash 0, FC Kansas City 1. Shea Groom (FC Kansas City) header from the centre of the box to the top left corner. Assisted by Becky Sauerbrunn with a cross. Corner, FC Kansas City. Conceded by Bruna Benites. Attempt saved. Rachel Daly (Houston Dash) left footed shot from outside the box is saved in the centre of the goal. Assisted by Nichelle Prince. Attempt saved. Rachel Daly (Houston Dash) right footed shot from the right side of the box is saved in the centre of the goal. Assisted by Andressinha with a through ball. Attempt saved. Nichelle Prince (Houston Dash) left footed shot from the left side of the six yard box is saved in the centre of the goal. Assisted by Andressinha. Attempt missed. Brittany Taylor (FC Kansas City) right footed shot from outside the box is too high. Assisted by Sydney Leroux. Substitution, FC Kansas City. Katie Bowen replaces Lo'eau LaBonta. Attempt saved. Nichelle Prince (Houston Dash) right footed shot from outside the box is saved in the top left corner. Assisted by Cari Roccaro. Delay in match Cambria Privett (Houston Dash) because of an injury. Attempt missed. Becky Sauerbrunn (FC Kansas City) right footed shot from outside the box misses to the right. Assisted by Yael Averbuch with a cross following a corner. Attempt blocked. Shea Groom (FC Kansas City) right footed shot from the right side of the box is blocked. Assisted by Lo'eau LaBonta. Attempt missed. Shea Groom (FC Kansas City) left footed shot from the centre of the box is too high. Assisted by Brittany Ratcliffe. Attempt saved. Andressinha (Houston Dash) right footed shot from outside the box is saved in the centre of the goal. Assisted by Rachel Daly. Attempt missed. Shea Groom (FC Kansas City) left footed shot from the centre of the box is high and wide to the left. Assisted by Sydney Leroux. Substitution, Houston Dash. Cari Roccaro replaces Carli Lloyd because of an injury. Attempt blocked. Sydney Leroux (FC Kansas City) header from the centre of the box is blocked. Assisted by Yael Averbuch. Attempt missed. Lo'eau LaBonta (FC Kansas City) right footed shot from outside the box is too high. Assisted by Brittany Taylor. Delay in match Carli Lloyd (Houston Dash) because of an injury. Attempt missed. 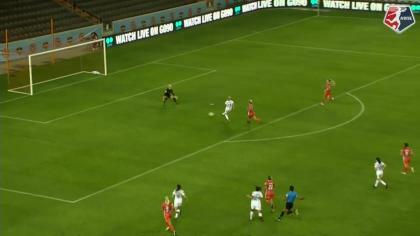 Carli Lloyd (Houston Dash) header from the centre of the box is close, but misses to the left. Assisted by Poliana with a cross. Attempt blocked. Sydney Leroux (FC Kansas City) right footed shot from the right side of the box is blocked. Assisted by Lo'eau LaBonta. Attempt missed. Yael Averbuch (FC Kansas City) right footed shot from outside the box is close, but misses to the right. Assisted by Becky Sauerbrunn following a set piece situation. Attempt blocked. Sydney Leroux (FC Kansas City) right footed shot from the right side of the box is blocked. Assisted by Brittany Taylor. Attempt missed. Lo'eau LaBonta (FC Kansas City) right footed shot from outside the box is close, but misses the top right corner following a corner. Attempt missed. Shea Groom (FC Kansas City) header from the centre of the box misses to the right. Assisted by Yael Averbuch with a cross following a corner. Attempt saved. Carli Lloyd (Houston Dash) right footed shot from outside the box is saved in the bottom left corner. Assisted by Poliana. Attempt blocked. Sydney Leroux (FC Kansas City) header from the centre of the box is blocked. Assisted by Yael Averbuch with a cross. Attempt missed. Brittany Ratcliffe (FC Kansas City) right footed shot from outside the box misses to the right. Assisted by Lo'eau LaBonta. Attempt missed. Carli Lloyd (Houston Dash) right footed shot from a difficult angle on the right misses to the left. Assisted by Andressinha. Attempt missed. Lo'eau LaBonta (FC Kansas City) right footed shot from outside the box is close, but misses the top right corner. Assisted by Yael Averbuch following a corner. Attempt missed. Carli Lloyd (Houston Dash) right footed shot from the centre of the box is close, but misses to the right. Assisted by Andressinha with a cross.